In these memoirs, Braz Cubas, a wealthy nineteenth-century Brazilian, examines (from beyond the grave) his rather undistinguished life in 160 short chapters that are filled with philosophical digressions and exuberant insights. 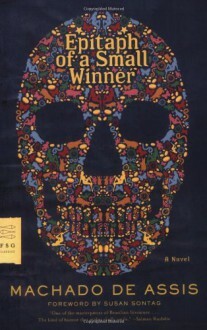 A clear forerunner of Gabriel García Márquez and Jorge Luis Borges, Epitaph for a Small Winner, first published in 1880, is one of the wittiest self-portraits in literary history as well as “one of the masterpieces of Brazilian literature” (Salman Rushdie). Original and very entertaining. But more prosecco than champagne.